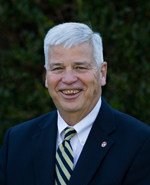 Dan Brown has worked in sales in the East Tennessee market for over 45 years providing quality services in varied industries to his community. From 1968 to 1975, he was store manager and buyer for Hall-Brown Clothier; from 1975 to 2013, president and owner of McNutt Brown, Inc; and presently an agent with Herron-Connell Insurance Group. He is licensed in Property, Casualty, Auto, Life, and Health, including Medicare. Brown graduated from the Webb School of Knoxville and from the University of Tennessee where he earned a BS in Marketing. He has been affiliated with his church, Boy Scouts of America, and UT Lettermans Club.